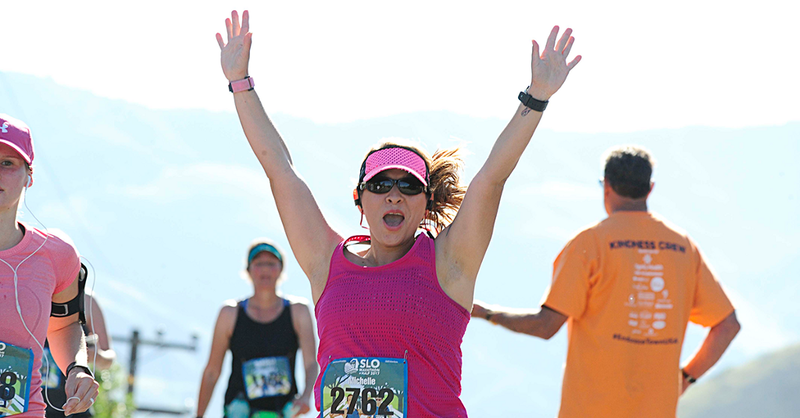 SAN LUIS OBISPO, Calif. — (June 1, 2017) — The 6th SLO Marathon + Half event was held on April 26–30 with more than 3,800 participants for the Marathon, Half Marathon, 5K, Kids’ races or Healthy Running Conference. Starting and finishing at the landmark Madonna Inn Meadows, the Spring tradition community event produced by Race SLO is the Central Coast’s largest running festival. In 2018, the 7th event edition, set for April 27–29, has added a 4-person Marathon Relay.